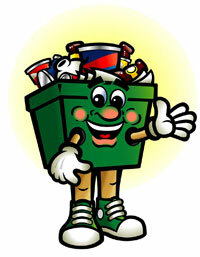 Yonked :: Diary of a New Home: Yonkers Recycling Schedule-NOW ONLINE! Yonkers is on a every other week recycling schedule-- one week it's paper, the next week it's mixed media (plastic, glass,metal) It's confusing to remember-- and they have a very cool book, but I am always misplacing it! And the City of Yonkers website has it, but you have to download the whole thing as a PDF . Long story short, I've captured the Recycling schedule, and am putting it online right here. Hope it helps everyone else in Yonkers, but at the very least, it will help us! Comments on "Yonkers Recycling Schedule-NOW ONLINE!"